Find the Air, A skate film from Scott Gerent and Chris Rawlins. featuring: Dane Vaughn, Elijah Anderson, Chucky Jones, Eddy Coscarart, Raymond Diaz, and many more. 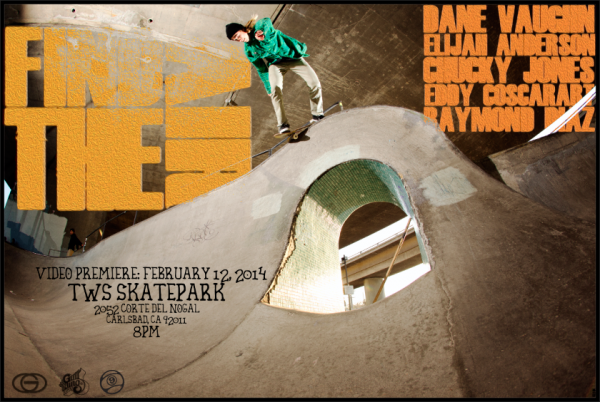 Video Premiere February 12, 2014 at TWS Skatepark.